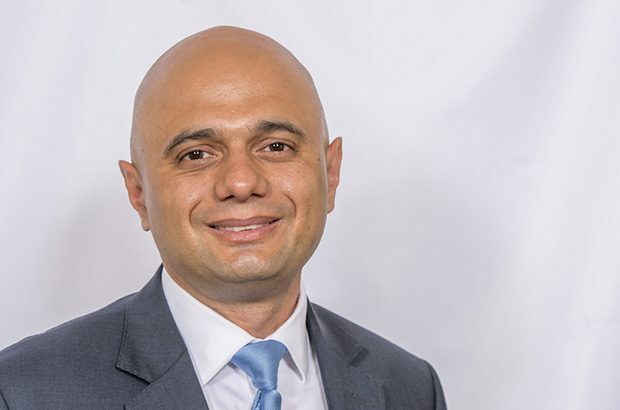 Today, Tuesday October 16, the Home Office and Ministry for Housing, Communities and Local Government launched an update to its 2016 Hate Crime Action Plan. This morning, the Home Secretary wrote in the Daily Telegraph about the refresh. British society is built on the historic values of unity, inclusivity, tolerance and mutual respect. These strong foundations are something that all Britons should be immensely proud of. Hate Crime Awareness Week is a fitting time to champion these values and celebrate what a diverse and inclusive country we live in. It is also an opportunity for people to come together and stand against those who seek to divide us. Hate crime goes directly against these values – and is something that I as Home Secretary am determined to tackle. It is vital we all recognise what a hate crime is so that we can call it out when we see it. It is criminal offence motivated by hatred. This could be because the victim is gay, bisexual, transgender, come from a different country, have different skin colour or be disabled. I am committed to stamping this sickening behavior out. I have spoken out against those who spread antisemitism and anti-Muslim hatred. I have also been a first hand victim of hate crime. Since becoming Home Secretary, I’ve been called a Coconut, an Uncle Tom and much worse. I was sent a so-called ‘Punish a Muslim Day letter. No matter who you are, these attacks have a personal effect. Sadly we still hear incidents of intolerance, whether it’s a migrant being told they don’t belong, a disabled child being verbally abused, a Muslim women having her veil torn off or anonymous keyboard cowards infecting the internet with hatred. This is why today the Communities Secretary James Brokenshire and I have launched an updated version of our Hate Crime Action Plan. Our approach provides more support for victims, extra funding for community groups and educational organisations, and works to promote shared values. We will be giving nearly £800,000 to religious institutions so they can upgrade their security through the Places of Worship scheme. This brings funding through the scheme to around £1.5million and has helped protect churches, mosques, Hindu temples and Sikh Gurdwaras. Crucially, we have asked the Law Commission to undertake a wide-ranging review into hate crime legislation. This will explore whether current legislation is effective and if new hate crime strands should be introduced, such as misogyny and crimes against the elderly. I will study the findings with great interest and will not hesitate to act if there are ways to improve our response to hate crime. We will be launching a new hard-hitting, nationwide campaign in the coming weeks to increase awareness of what constitutes a hate crime as well as pledging to continue to provide funding for crucial groups across the country who are tackling prejudice in local communities. This is all on top of the excellent work across Government and other agencies. We have improved police recording of hate crime, set up the Cross-Government working groups on tackling antisemitism and anti-Muslim hatred and engaged with a variety of communities on how to improve our response. We have given funding to support police call handlers, who will be offered specialist training on how to respond to hate crime victims. As the first point of contact for most victims it is vital the police provide a professional and empathetic response for people who may be particularly affected as victims. We are also doing more to tackle the emerging threat of hate crime online. We committed £200,000 of Home Office funding for a new national police hub to improve the police response while my colleague Baroness Williams, the Minister for Countering Extremism, held a roundtable with disabilities charity Changing Faces in the summer and social media companies to discuss what more can be done to tackle hate crime online. Along with DCMS we will publish a White Paper this winter, setting out a range of legislative and non-legislative measures detailing how we will tackle online harms and set clear responsibilities for tech companies to keep UK citizens safe. We are also supporting projects that encourage reporting, such as True Vision, which tackles online abuse. The Government is proud we can provide support to communities who bravely fight prejudice. It is the responsibility of us all to tackle intolerance so that we can live our lives in this great and vibrant country.